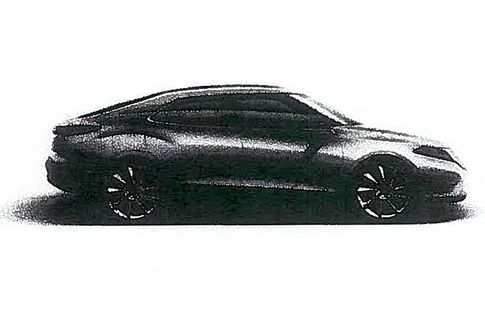 Swedish SvD has come across a presentation of Saab's business plan from January 2011 with a picture of what is believed to be the next generation Saab 9-3. In the rear we can recognize the current Saab 9-5 Sedan with the sloping rear. The rear wheel arch looks a bit like the Saab PhoeniX concept. We have the wrap-around windshield and the blacked out A-pillars from the Saab 9-5. But is this the real deal? Well, to me it looks too much like a Saab 9-5 photoshopped into a Saab 9-3. First of all, the rear looks too much like a slightly altered Saab 9-5 Sedan. And there is still a big front overhang. Earlier Saab has said that they have worked hard on reducing the front overhang on the next 9-3. Furthermore, we have been told that the front fender will be bigger and more pronounced than on the Saab PhoeniX. I don't see that on this picture. But it does look a lot like a Saab. CEO and founder of Youngman, Pang Qingnian, is certain that the acquisition of Saab will get the green light from China's National Development and Reform Commission. "I am 100 percent certain that they will approve the deal," Pang Qingnian told Swedish news agency TT at the creditors meeting earlier today. When asked why he can be so certain, Pang Qingnian said: "Because there's been much communication between the Swedish government and the NDRC, and also between the NDRC and us." Pang Qingnian also revealed that Youngman has been wanting Saab for the last five years. But back then GM had already partnered up with other Chinese companies. Pang Qingian pay tribute to the technology, the products and the management at Saab. Forward to 2017, the Chinese are willing to invest about RMB 20 billion in Saab (approx. EUR 2.2 billion), including EUR 50 million in bridge funding now during the reconstruction and EUR 610 million next year to restart production and development. In addition to bridge funding and restart of production, the money will be used to establish manufacturing in China and also develop future models. CEO of Pang Da, Pang Qinghua, was also in Sweden today. He told TT that production in Trollhättan will continues even when production starts in China. He also said that he hoped that production would say in Sweden also in the indefinite future. "I hope so. I will do my best to achieve that," he told TT. Right now in Vänersborg, Saab is meeting its creditors whose opinion whether the reconstruction should continue or not will be very important. Then the court will decide. Peter Hallberg, representative of the Swedish Saab dealers: "This sounds like the best we have hear from Saab in a long time, so we want the reconstruction to continue." Platzer real estate company thinks it looks positive. Swedish tax authorities say yes. Autoliv is optimistic about what they have been told today and they say yes to continued reconstruction. Continental: Are positive to what they have been told today, but looks forward to the composition meeting. That was all the creditors who wished to express their opinion. And the result: The Vänersborg District Court has decided that the reconstruction of Saab shall continue. Tomorrow Saab will meet its creditors at the creditors meeting in connection to the reconstruction Saab is going through. At this meeting the creditors can speak their mind and say whether they believe a reconstruction of Saab into a healthy company is possible or not. To persuade the creditors, Saab will present their plan for the future. Tonight Swedish TV SVT revealed that the new business plan for Saab involved huge sums of money. During the first two years alone, the new Chinese owners wish to invest SEK 7.5 billion, that's well over EUR 800 million! First there is SEK 2 billion to pay suppliers and restart the production, but also SEK 5.5 billion to be allocated to development. First of all the development money is to be used to finish the development of the Saab 9-3 replacement. But the Saab management also wants to start the development of a smaller Saab, and the Chinese owners want two bigger Saabs. Earlier the following model names 9-1, 9-6X and 9-7 have been mentioned. During this weekend the Saab management has been sitting in meetings with the new Chinese owners to be, and together they have made the reconstruction pan. Will the stakeholders approve the deal? Here are the different stakeholders which can stop the sale of Saab from Swedish Automobile to Chinese companies Youngman and Pang Da. Swedish Automobile N.V. is a public limited company (Naamloze Vennootschap) with a number of shares traded freely on the Euronext stock exchange. The European Investment Bank, which so far has loaned Saab EUR 217 million to Saab's research and development projects for greener and safer vehicles. Has guaranteed Saab's loan in the EIB. 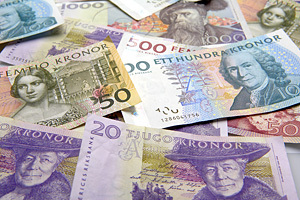 The task of securing the loan guarantee has been delegated to Sweden's National Debt Office. Has guaranteed the EIB loan by taking most of Saab's tangible assets as collateral, like the spare parts company, the property company and the tools company. The NDO's task is to ensure that Sweden does not suffer any loss by guaranteeing the EIB loan. BMW has agreed to sell engines to the next generation Saab 9-3. From comments made by Victor Muller et al. one can assume that the engine deal has conditions bound to who has ownership of Saab. Saab's previous owner which still owns redeemable preference shares in Saab and also is owner of much of the technology Saab is using. China's top economic planning body. Must approve any Chinese investment abroad and foreign investments in China. There are also a handful of other Chinese government agencies which needs to approve different steps of the deal, like the transfer of money from China to abroad. The shareholders of Swedish Automobile will probably not oppose the deal as long as the alternative is bankruptcy in Saab, which would mean that the value of the SWAN shares would be zero. The EIB, the NDO and the Sweden's Government will probably not oppose an ownership change as long as Saab stays a Swedish company and the new owners have the required financial muscles. Now that the Chinese take full ownership of Saab, it is more likely that the NDRC will approve the deal. And there has already been news reports saying that they are positive to the deal. The other Chinese agencies are not considered obstacles once the NDRC has given its approval. It is difficult to know if BMW will oppose the deal. But BMW has a small role, so far it has agreed only to sell one type of engine, the 1.6 liter turbo petrol engine. So BMW will probably not oppose. And if BMW does, it may not bring down the deal anyway. The hardest nut to crack is GM. It is a fact that all three current models from Saab, the 9-3, the 9-5 and the 9-4X are based on GM technology. Earlier GM has been terrified that its technology would find its way to China. But a lot has changed the last two years. Ford has sold Volvo to China and GM has been through a Chapter 11 bankruptcy and gotten new management. GM has also spent two more years establishing Buick in China and now has a strong position with strong partners over there. So one might hope that GM's position has changed and the company will approve the sale? Youngman will take a 60 percent stake in Saab and Pang Da a 40 percent stake. The deal is expected to be closed within a month. The planned joint-ventures between Saab and the Chinese is now unnecessary since Saab will be fully owned by the Chinese and can instead establish subsidiaries. Among others, also BMW needs to approve the deal because of Saab's engine purchase deal with BMW. The agreement with the Chinese guarantees that production will stay in Sweden, but the Chinese will also start production in China just as planned by Saab. Victor Muller considers General Motors as the hardest nut to crack in order to get the deal approved. Victor Muller will somehow be involved in Spyker and Saab in the future. Pang Da pefect owner as its China's and the world's biggest distributor of cars. Youngman ideal owner as they have much experience in vehicle manufacturing and setting up production plants in China. It has just been announced that Swedish Automobile has agreed to sell all shares in Saab Automobile AB and Saab Great Britain Ltd to Chinese companies Pang Da and Youngman for the amount of EUR 100 million. This means that Saab will be fully Chinese owned. According to Saab's CEO, Victor Muller, the Chinese are ready to invest at least EUR 500 million in Saab. "This is very pleasing for all employees at Saab," said Executive Director Communication Eric Geers to TTELA. "I feel very happy about this. Now the future of the company is secured. The future looks very bright now. Now we have the deepest pockets on board, which will make sure that the company will prosper," Victor Muller said. Trollhättan, Sweden: Swedish Automobile N.V. (Swan) announces that it entered into a memorandum of understanding with Pang Da and Youngman for the sale and purchase of 100% of the shares of Saab Automobile AB (Saab Automobile) and Saab Great Britain Ltd. (Saab GB) for a consideration of EUR 100 million. Final agreement between the parties is subject to a definitive share purchase agreement between Swan, Pang Da and Youngman, which will contain certain conditions including the approval of the relevant authorities, Swan's shareholders and certain other parties. The consideration of EUR 100 million will be paid in instalments. An important consideration for Swan to enter into the transaction is the commitment of Pang Da and Youngman to provide long term funding to Saab Automobile. The administrator in Saab Automobile's voluntary reorganisation, Mr. Guy Lofalk, has withdrawn his application to exit reorganisation. The MOU is valid until November 15 of this year, provided Saab Automobile stays in reorganisation. As we can read from the press release, the request from Guy Lofalk to the court that the reconstruction of Saab should end, has been withdrawn. Furthermore the sale of Saab to the Chinese is subject to approval from stakeholders such as shareholders of Swedish Automobile, Chinese and Swedish authorities, the European Investmen Bank and General Motors. The opinion of the latter would probably prove to be the most interesting. General Motors holds preference shares in Saab and is licensing a lot of technology to Saab. When General Motors was selling Saab back in 2009, there were reports saying that the US company were not willing to sell Saab to a Chinese company due to the fear of spreading GM and other state of the art technology to China. But since then the world has progressed, Ford has sold Volvo to Chinese Geely and maybe even the old General will reconsider? Of less importance Swedish Automobile and Saab also announced that they will issue a subscription notice for 3 million shares under the current EUR 150 million equity facility between Swan and GEM Global Yield Fund Limited. I guess money to pay wages and keep Saab going until November 15. A solution is near according to a source with knowledge of the negotiation between Swedish Automobile and the Chinese companies Youngman and Pang Da over Saab. "The Chinese side and Swedish Automobile have been discussing a new equity deal in the past weeks and are close to reaching an agreement now," the source told Reuters. According to Swedish TV 4 Nyheterna Väst, a deal was reached late last night. A source said that the deal has "raised strong reactions in parts of the Saab management". Swedish Radio P4 Väst reports that the purchase amount is around EUR 100 million. Reuters reports that the Swedish Automobile shares have been suspended from trade on the Euronext - Amsterdam Stock Exchange. The part about the management not being happy does not sound good. I guess we will know more after daybreak. Today can be another of those important and decisive days for Saab. By 13:00 today the company needs to respond to the court with its view on the request from the reconstruction administrator to stop the reconstruction. And Saab probably needs to respond with more than plans and promises from companies interested in investing. Latest news from TTELA is that Saab has asked for time to give its response. It is not known when the reponse will be given to the court. But the court said that it will take all information delivered to the court up to the court makes its decision into consideration. Saab and Swedish Automobile have negotiated intensly the past days with presumably Youngman and Pang Da in Stockhom and these negotiations are still ongoing. But in the saga of Saab it would be naive to exclude the possibility of other investors too. Eric Geers, Executive Director Communication at Saab, yesterday said that the negotiations going on in Stockholm would be very important to Saab's response. "Of course the things going on in Stockholm will influence how our response to the court will look like and even other issues," Geers told TTELA. My personal opinion is that there is little chance that the court will allow the reconstruction to continue. Remember that the Vänersborg District Court first denied Saab the reconstruction, and when Saab appealed, the Court of Appeal for Western Sweden approved the reconstruction but the ruling was not unanimous. And now the reconstruction administrator has requested that the reconstruction is stopped due cash shortage and no mid- or long-term funding. The request will be handled by Vänersborg District Court and according to Dagens Industri by three new judges since the three judges which rejected the reconstruction application in September will step aside. One possibility is that reconstruction administrator Lofalk withdraws the request. But for that to happen I guess Saab must either have raised a lot of money the past days or Swedish Automobile must have agreed to sell Saab and all stakeholders given their approval. But how likely is that happening in just three or four days? In other words, the reconstruction probably ends and Saab willl once again face its creditors and bankruptcy threats. But if that happens, it does not mean the end of Saab. It only means that there will be even less time to find investors and raise money. In additon to this, Saab also needs to pay its employees the October wages. The Västra Götaland County Administrative Board (länsstyrelsen) yesterday said in a statement that the money covering wages from October 1 to October 21 had been made available to the reconstruction administrator and Saab. Saab needs to find the money to cover the remaining 10 days of October. But so far the employees have not been paid. If the employees aren't paid within reasonable time, we can expect new bankruptcy filings from the labor unions once Saab's reconstruction ends. Intense negotiations are still ongoing between Saab and owner Swedish Automobile on one side and Chinese companies Youngman and Pang Da on the other. According to Dagens Industri, there are influencual stakeholders pushing on for the negotiating parties to reach an agreement. 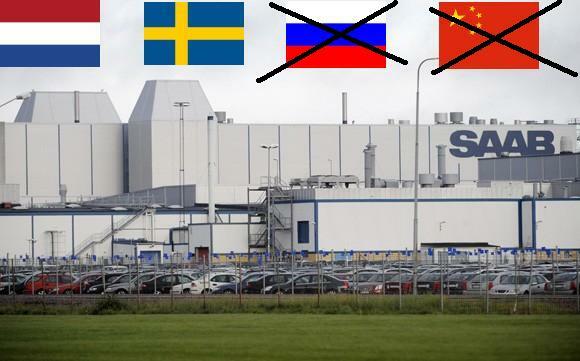 If the parties can agree on a price for Saab, the company will become fully Chinese owned. DI reports that Swedish Automobile's CEO and major owner Victor Muller wants SEK 4,1 billion for Saab. The amount the company was valued to at the agreement in July. And as we all know, the Chinese only offered SEK 200 million last week. Also China's National Development and Reform Commission as well as the Swedish Government are said to support a deal where the two Chinese companies take full ownership of Saab. Saab's Chairman and CEO Victor Muller has spoken with Swedish news agency TT and given his view on the past days of drama. Below is a translation from DI.se. Saab CEO Victor Muller and the Board of Directors at Swedish Automobile saw no alternative but to tear up the contract after what they saw as a disgraceful bid from Youngman and Pang Da. "It was totally unacceptable. Not only because of the amount, but also because of the conditions. Everything but the return of the Messiah was on the list of conditions that would have to be met in order for them to pay. So we would never have seen any money," said Victor Muller, confirming that the offer was at around SEK 200 million. " Victor Muller is very disappointed, accusing Chinese companies of violating the agreement which the parties agreed during two days of emergency negotiations in Stockholm two weeks ago. According to Muller, they paid $ 10 million, about SEK 66 million, but not the remaining $ 37.5 million, about SEK 250 million. Instead, they said that they wanted to buy Saab in full. At the same time, Swedish Automobile is bound by an exclusive agreement which says that the company can not negotiate with anyone else than Youngman and Pang Da until 15 November. Therefore, there are still attempts to patch up relations. "There are ongoing discussions which includes lawyers to see which solutions are available. I will personally not participate until there are conditions for a deal," said Victor Muller. There is also a personal reason why he is not in Stockholm. When TT gets hold of him heæs on the way onto a plane. "I will travel to Holland and my father's funeral. An accident never comes alone," he says. Victor Muller insists that Swedish Automobile has kept all that the company promised. "Absolutely, 100 percent. We have done what we have committed ourselves to do. To suggest otherwise would be unfair." According to the deal from last summer Pang Da paid EUR 45 million up front for nearly 2,000 cars to be delivered in September. This has Saab not lived up to. "How could we. We haven't manufactured any cars because they have not been there with funding. If they had paid, we would have started production long ago. But they did not pay. They do not keep their promises. We can not build any cars because we have no cash," said Victor Muller. They want to get rid of you? "I do not know. I do not think it's a personal thing. They do not want to deal with someone else. They want the company to themselves," he says. Do you demand that Swedish Automobile stays as owner? "No, I demand nothing. We have a blank sheet. This is not a Muller-decision. It is a decision of the Swedish Automobile Board. There are five people o the Board." As usual, he talks about "that there are lots of options" and "dozens and dozen of interested investors." He does not want to say what kind of deal he can accept. "Any deal that gives Saab a future and that is acceptable from the standpoint of Swedish Automobile to secure Saab's future." Can you agree to step down if you are standing in the way of a solution now? "I am completely irrelevant to the company's future. This is not about me. It's about Saab. I have fought for this company for two years and the only thing I wish is that it survives. I'll be fine, do not worry about me . " Dagens Industri reports that today Saab is in a meeting with Chinese Youngman and Pang Da in Stockholm. "They are negotiating face to face. The issue is how to proceed," says Gunilla Gustavs from Saab to Swedish news agency TT. Eventough Saab's parent company Swedish AUtomoible yesterday terminated the agreement with the Chinese, the contact has not been broken. "No, not at all," says Gustavs. TTELA reports that Victor Muller is not present at the meeting. It is representatives from Saab that are meeting representatives from Youngman and Pang Da. "All plans that are beneficial for Saab should be discussed during the reorganization. We have been in touch after the weekend announcement and continue to look at new proposals." Also today the reconstruction administrator Guy Lofalk's request to the court to terminate the reconstruction has been made available online. In his application to the court Lofalk writes that the Chinese companies wants to make a direct investment in Saab and take over the whole company. And this investment involves a funded business plan of many years. Saab has until October 27 to respond to the request. Swedish business news DI.se reports according to the newspaper Dagens Industri, the Chinese companies Youngman and Pang Da are willing to invest SEK 5.5 billion in Saab if they get control over the company. The money would be used on paying all supplier and subcontractor debts and the remaining would be equity in the company. When TTELA talked to Gunilla Gustavs from Saab this morning, she did not know where Victor Muller was at the moment, but hoped to be able to say more about Muller's "Plan B" during the day. "It is not obvious what the next is, but we think that we can give more information during the day," Gunilla Gustavs from Saab told TTELA today. One thing that needs to be sorted out is the wages to the employees. Wages that are due this week. Latest report from TTELA says that Guy Lofalk has at least done one last decent thing as the administrator of the Saab reconstruction, and that is to request that the Västra Götaland County Administrative Board (länsstyrelsen) makes the final wage payment under the government wage guarantee. This wage payment will cover the employees wages from October 1 to October 21. The remaining must be paid by Saab. Stay tuned for more information during the day! Trollhättan, Sweden: Today, Swedish Automobile N.V. (Swan) announced that it has given notice of termination with immediate effect of the Subscription Agreement of July, 2011 entered into by Swan, Pang Da and Youngman. Swan took this step in view of the fact that Pang Da and Youngman failed to confirm their commitment to the Subscription Agreement and the transactions on the agreed terms contemplated thereby as well as to explicit and binding agreements made on October 13, 2011 related to providing bridge funding to Saab Automobile AB (Saab Automobile) while in reorganization under Swedish law. Pang Da and Youngman have presented Swan on October 19 and 22 with certain conditional offers for an alternative transaction for the purchase of 100 percent of the shares in Saab Automobile which are unacceptable to Swan. However, discussions between the parties are ongoing. A strategic move for a sale of Saab to the Chinese? 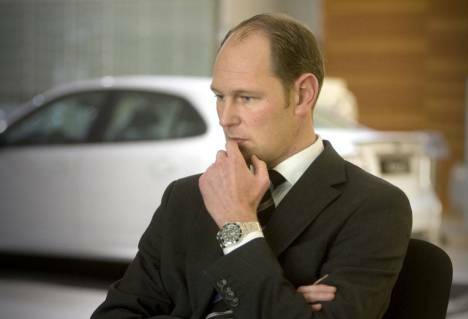 "Give us an acceptable bid or forget Saab"? Or a new deal with a new partner, e.g. North Street Capital? According to Svenska Dagbladet's sources, the bid from Youngman and Pang Da for Saab was just SEK 200 million. So I think we can safely agree with Victor Muller when he called it a token bid. This bid was received on Wednesday and the amount equaled the current market value of Saab's parent company Swedish Automobile. According to a source of Swedish Radio, accepting a bid like that would be like giving the company away. As we all know by now, Victor Muller rejected the bid. On Friday Saab and Swedish Automobile announced that they are still in talks with Youngman and Pang Da concerning the agreement that the Chinese buy 53.9 per cent of Swedish Automobile and thus of Saab. We can also assume that the discussions might be concerning a possible Chinese acquisition of Saab in full. And according to Svenska Dagbladet's sources, a improved bid is expected shortly. But the asking price and the bidding price is according to SvD worlds apart. During this weekend Victor Muller has reportedly been in contact with both Rachel Pang from Youngman, as well as US based North Street Capital which last week agreed to fund Saab short term. North Street also said that they have the financial muscle to go in as a major shareholder. There is no doubt that the current owners of Saab and the financial backers will lose a considerable amount should the company go bankrupt. Swedish Radio's sources say that Victor Muller and financial backer Vladimir Antonov so far have invested around SEK 1.5 billion in Saab. The question now is at which price will they be willing to cut their losses. And how high can they press the price by reaching funding agreements like Swedish Automobile did with North Street Capital last week. Because one has to ask if that was the purpose of the North Street deal. For me as an observer and lover of the Saab brand and cars, it now more and more looks that Saab's only option is in China, and as a fully Chinese owned company. Alternatively, US based North Street Capital needs to buy in as a major shareholder. But the latter seems very unlikely. One question I have raised a few times already and which Svenska Dagbladet now reports that also Victor Muller has raised in the discussions with the Chinese, is if General Motors will accept a Chinese ownership of Saab and be willing to still license technology to Saab. One can hope that Ford's sale of Volvo to Geely has changed General Motors attitude towards a Chinese deal. The only certain thing is that next week Saab once again needs to pay its employees the monthly wages. And to do so, Saab needs money. I am sure we can look forward to yet another week of drama in the Saab saga. On Thursday this week Saab announced that the Greenwich, Connecticut based private-equity firm North Street Capital would help fund Saab and Saab's parent company Swedish Automobile by buying new issued shares worth $10 million and also by giving the companies a loan of $60 million. North Street Capital is also the firm that has agreed to buy the Spyker sports car division from Swedish Automobile. A deal worth $44 million (EUR 32 million). Now when the deal to sell 53.9 per cent of Swedish Automobile to the Chinese companies Youngman and Pang Da seem to crumble away, some news providers report that Mascioli and North Street Capital might also be interested and willing to buy into Saab. To Reuters Mascioli said that Saab is an undervalued asset that will survive and from which he expects to turn a profit. He added that North Street Capital has the capacity to take over Saab should it wish to do so. "I believe many men are. It starts when you are a little boy. It's a guy thing," he said and laughed. Alex Mascioli and Victor Muller know eachother through a mutual acquaintance. The two men apparently found that they have a common interest in cars and business. "I am a car guy. I have always driven race cars and have collected cars, and he is the same type of person," Mascioli said to DI about himself and Victor Muller. They had never done business untill Swedish Automobile in September agreed to sell the Spyker sports car division to Mascioli's private-equity firm North Street Capital. And now they even seem to partner up in Saab. 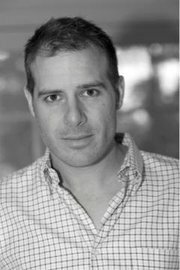 Mascioli's company North Street Capital, is a hedge fund company. It runs a Global Macro hedge fund, a private venture fund and a fund of funds (The Sapphire Funds). The overall investment strategy is opportunistic, with a focus on public and private equity, global hedging markets, structured credit arbitrage, real estate, transportation, turn arounds and workouts. 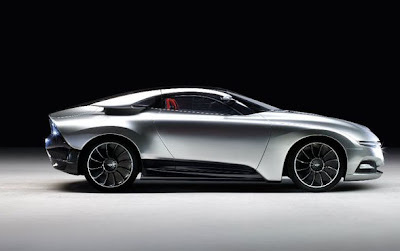 When Swedish Automobile sold Spyker to Alex Mascioli and North Street Capital, Car & Driver did an interview with the car enthusiast from Connecticut. And it turns out that he has a few Saabs of his own in his garage! Car&Driver: What’s in your own garage? Alex Mascioli: Just a few Saabs [noticeable pause] and a Lamborghini Gallardo. According to the Swedish newspaper Svenska Dagbladet, Youngman and Pang Da can save Saab from going under, but Victor Muller needs to step aside. In a comment made to Reuters, Saab's reconstruction administrator Guy Lofalk says that he has been presented a plan that the Chinese buy all of Saab. He met Chinese authorities which told him that Youngman and Pang Da have the needed resources. "The Chinese have presented a solution that would be the rescue for Saab. I have met with the Chinese authorities and they have told me that Youngman and Pang Da have sufficient resources to do what is needed. This is a proposal which, if followed through, would save Saab and ensuring production in Trollhättan," Lofalk said. According to Pittsburg Post Gazette, two people with direct knowledge of the matter said that the two Chinese companies have offered to purchase Saab for a token sum. "The token offer was unacceptable because it would trigger every conceivable change of control clause and that would possibly mean the end of Saab." Which makes me as an observer and enthusiast raise the question about the license deals with GM. Would a Chinese acquisition of Saab void the technology deals with GM? "That's what he [Lofalk] says, but it has been obvious the past weeks that he is the driving force of an ownership change where Swedish Automobile is no longer owner. It is the same scheme with Youngman and Pang Da as it was with Geely earlier." And when asked who is behind all of this, Muller more or less point to the Swedish Government. "I do not want to speculate, but you do not have to be a rocket scientist to start to reflect on to where it all leads." "All I can say is that the parties failed to reach an agreement. Now, it appears that the parties have decided to go separate ways and the original reconstruction plan has collapsed, the plan that would protect the company during the time it took for the Chinese authorities to grant investment in Sweden." "The offer may be higher or lower, but we don't know now," said Huang Zhiqiang, vice president of Youngman Automobile Group, to The Wall Street Journal. In trying to force Saab out of reconstruction, Guy Lofalk might think that the plan where the Chinese buy all of Saab may succeed once Saab goes bankrupt or is on the brink of bankruptcy. And the Chinese may see a bankruptcy as a way out of the binding agreement to invest in Saab. But Saab and Victor Muller will fight Lofalk's request to stop the reconstruction. Latest reports say that the request will probably be discussed at the planned creditors' meeting on October 31. As far as funding and the future is concerned, Victor Muller has a plan B. "There is always a plan B," Muller told Reuters. When asked what the plan was, he said he would reveal it "only if we resort to it." Plan B most likely include private-equity firm North Street Capital which yesterday agreed to fund Saab with $70 million. "I expect the deal to go ahead. I'm willing to do what I can with my resources for Saab." Mascioli told Reuters that Saab is an undervalued asset that will survive and from which he expects to turn a profit. He added that North Street Capital has the capacity to take over Saab should it wish to do so. Reconstruction administrator Guy Lofalk going behind Saab's back once again? Today has been a dramatic day. First Saab announced that it had secured funding from the American private-equity firm North Street Capital. Then it was announced that the reconstruction administrator Guy Lofalk had applied to the court to terminate the reconstruction. According to Lofalk, the money secured through the deal with North Street Capital was "not enough to continue the reorganization." "This is much bigger than you can imagine. But I can not and are not allowed to say anything." Does that sound dramatic or what? According to the Swedish news agency TT and Trollhättan newspaper TTELA, several sources say that the relationship between Victor Muller and the administrator Guy Lofalk went sour when Lofalk on Monday this week was in China and met the National Development and Reform Commission and Youngman and Pang Da without Saab's knowledge. At this meeting Lofalk discussed the possibility of the two Chinese companies becoming sole owners of Saab and this should happen behind Victor Muller's back. Something that of course upset Victor Muller who is Chairman and CEO of Saab's current parent company Swedish Automobile. "The Chinese companies have expressed a wish to do a direct investment in Saab, but they were not able to reach an agreement with the current owner Swedish Automobile." A direct investment would of course mean that the Chinese would become owners of Saab directly and not indirectly through Swedish Automobile like the initial plan intended. "The situation is rather complicated. We've seen the Chinese investors making U-turns in the last few days. That is very concerning because just last week they had confirmed their interest." Muller continued saying that Lofalk "is completely focused on an ownership change. He wants to force Swedish Automobile to sell Saab." But Victor Muller has not given up: "No way it's over. It's a process that we'll fight in court." The question now is what will happen next? Who will win this ongoing power struggle between Swedish Automobile with Victor Muller in the forefront and Guy Lofalk and the Swedish Government on the other side? And as a Saab enthusiast, who do I cheer for? Who has the best odds to secure Saab's future? This can't be good news... A press release from Saab where Saab informs that the administrator of the reconstruction has told Saab to terminate the reconstruction. Trollhättan, Sweden: Swedish Automobile N.V. (Swan) announces it has been informed that the administrator of the reorganization, Mr. Guy Lofalk, will apply for termination of the voluntary reorganization of Saab Automobile AB (Saab Automobile) and two subsidiaries at the Swedish court in Vänersborg. 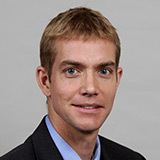 In spite of the funding commitment of North Street Capital LP which was published earlier today, the administrator who leads the reorganization, Mr. Guy Lofalk, will file an application at the Swedish court to terminate the reorganization process. Saab Automobile shall contest this application and request for continuation of the voluntary reorganization process. Simultaneously, Saab Automobile shall apply at the court for replacement of Mr. Lofalk as administrator. If Saab is forced to exit the reconstruction process, Saab will once again be in the position to face bankruptcy filings. It is also unknown if the funding from North Street Capital which was announced earlier today, will be followed through if Saab is forced out of reconstruction. Swedish Radio does however report that a spokesman from North Street Capital confirms that they are presently in a meeting with Saab and Victor Muller. To Reuters the administrator of the reconstruction, Guy Lofalk who went behind Saab's back earlier this month when conspiring with the Swedish Government and trying to sell Saab to Geely, says that there is not enough money to follow through the reconstruction. "The money is not enough to continue the reorganization," Lofalk told Reuters. Lofalk also told Reuters that the deal with the Chinese has not been finalized. The Chinese want to buy Saab, but are not able to reach a deal with Saab's current owner Swedish Automobile. Subscription to 2,386,635 ordinary shares in the capital of Swan at a price of USD 4.19 per share for the purpose of funding the working capital of Swan, Saab Automobile and Saab Great Britain Ltd. The shares to be issued will be paid in full by Friday October 21, 2011. Procurement of a loan to Saab Automobile in the amount of USD 60 million to be collateralized by a first lien on certain assets of Saab Automobile as well as a second lien on the collateral as pledged to NDO. This loan is subject to further documentation. The object of the parties is to finalize documentation no later than Monday October 24, 2011 with subsequent funding within two days thereof. Swan intends to accept this offer because it has doubts that the bridge funding of Youngman and Pang Da, of which a partial payment has been received, shall be paid in full on 22 October 2011. Immediate availability of funding is necessary to continue the reorganization process of Saab Automobile. So what to think of this? In a short time, two new Saab 9-5 have caught fire in the engine compartment, and both incidents occurred in Linköping. No people were harmed. 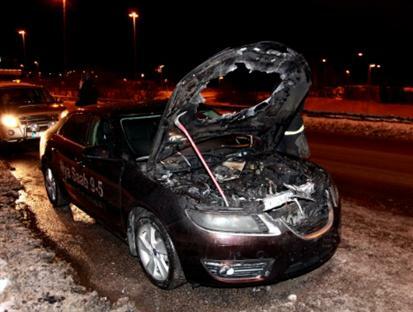 On Friday a new Saab 9-5 (pictured above) began to burn while driving in Linköping. The fire in the car, which was test drive car, started in the engine compartment (note the hole in the hood). This was reported by Östgöta Correspondenten. The driver managed to drive the car to the side and call the emergency services which came and extinguished the fire. No people were injured. The fire is not the first that has occurred in a new Saab 9-5. Shortly before Friday's incident another fire occurred, reportedly also this one in the engine compartment and even here it was in Linköping. No people were harmed. According to unconfirmed information, Friday's fire occurred in a 9-5 BioPower while the other fire occured in a fully equipped 9-5 Aero XWD Turbo6. It has been mentioned that the two cars were equipped with retrofitted electric engine block heaters of various types and makes, but it is unknown if these were the cause of the fires. According to an anonymous tip to teknikensvarld.se, the two block heaters which were used are not approved by Saab. Which may seem a bit strange considering that one of the cars was a Saab dealer test drive car. I have not read how the workshops or insurance companies concluded after investigating the two fires. But anyway, let's get to the main point of this post: How often does a Saab catch on fire compared to other car makes? To answer this question I turn to the Norwegian insurance company Gjensidige Forsikring. They have collected statistics of car insurance cases concerning vehicle fire. Source: Gjensidige Forsikring, table published by VG. The figures are an average from 2008 and 2009. The statistics are based on makes with at least 12 reported fires during the two years. From the table we can read that 16 out of 10,000 Saab cars catch on fire each year in Norway. That is more seldom than the average, which is 20 out of 10,000 cars. The average for Norway is the same as for the UK, which could indicate that the statistics for Norway is transferable to other European countries with the same car makes and models. Furthermore, Saab is the best European car. Only five Japanese makes and one Korean make do better. Compared to Saab's premium competitors, Saab is better than Volvo and a lot better than BMW. Mercedes-Benz and Audi can't even compete! Conclusion: Yet another good reason to be satisfied with choosing Saab!